European airport trade association, ACI EUROPE today releases its traffic report for January 2019, during which average passenger traffic in geographical Europe grew by +4.2% compared with the same month last year. This marks a slowdown in the growth dynamic of the past years, with this monthly performance being the lowest achieved by Europe's airports since Summer 2016. The slowdown is primarily due to non-EU airports, which reported an average passenger traffic growth of +2.6% - due to the negative performance of Turkish airports (-4.1%) - reflecting the country's economic woes - and that of Icelandic airports (-6%), following 10 years of exponential growth in passenger traffic at Keflavik airport. However, gains remained strong in Georgia, Belarus, Ukraine and Israel - where airports on average achieved double digit growth, as well as for a number of Russian airports, including Moscow-Sheremetyevo (+17.4%), Moscow-Vnukovo (+11.6%) and Saint Petersburg (+14%). EU airports posted an increase of +4.7% - with doubled-digit growth reported by airports in Austria (+20.8%), Estonia (+17.2%) and Greece (+10.6%). Growth was also dynamic in most of the Eastern part of the bloc, as well as in the Iberian Peninsula, Germany and Luxembourg. Conversely, passenger traffic kept dropping in Sweden (-2.7%) for the 5th consecutive month - and airports in the UK, France, Denmark, the Netherlands, Belgium, Italy, Croatia, and the Czech Republic underperformed the EU average. The Majors (top 5 European airports) grew their passenger traffic by just +1.3% - due to Istanbul-Ataturk reporting negative results (-2.6%) and slower growth at Paris-"CdG" (+2.9%), Frankfurt (+2.3%), London-Heathrow (+2.1%) and Amsterdam-Schiphol (+1.7%). 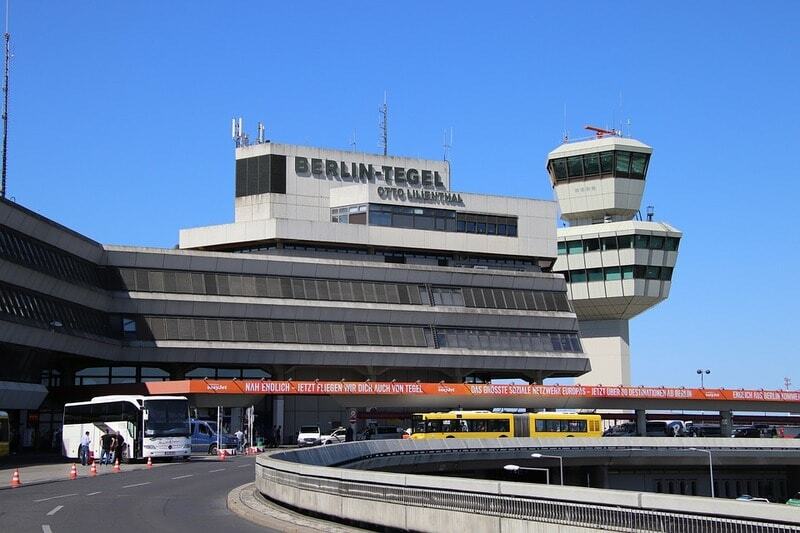 Apart from Berlin-Tegel (+42.4%)¹ and Vienna (+24.4%) being star performers on the back of capacity expansion by Low Cost Carriers, a number of other large/medium size point-to points airports and secondary & niche hubs also posted dynamic results - including: Barcelona (+7.1%), London-Stansted (+7.1%), Milan-Malpensa (+9.6%), Duesseldorf (+15.5%), Athens (+8.5%), Edinburgh (+9.9%), Palma de Mallorca (+19%), Oporto (+9.6%), Lyon (+8.6%) and Venice (+8.6%). Regional & smaller airports delivered the most contrasted results, with a growing number reporting passenger traffic losses but others still achieving impressive results - including: Sevilla (+23%), Krakow (+15.9%), Thessaloniki (+25.5%), Nantes (+12.2%), Faro (+21.9%), Cagliari (+10.5%), Paphos (+34.1%), Kaunas (+19.9%), Kharkiv (+20.6%), Sibiu (+34.4%), Newquay (+15.7%), Ostend (+21.9%), Caen (+50.5%) and Batumi (+52.1%). In line with end of last year, freight traffic continued to fall during January at -2.4% with losses concentrated at EU airports (-3.2%) and not at non-EU ones (+1.9%). Amongst the top 10 European airports for freight traffic only 2 posted gains: Liège (+13.9%) and Madrid (+5%). Aircraft movements were up +3.9% - increasing by +4.2% in the EU market and by +2.8% in the non-EU bloc. During the month of January, airports welcoming more than 25 million passengers per year (Group 1), airports welcoming between 10 and 25 million passengers (Group 2), airports welcoming between 5 and 10 million passengers (Group 3) and airports welcoming less than 5 million passengers per year (Group 4) reported an average adjustment +3.5%, +6.4%, +2.5% and +3.7%. The 'ACI EUROPE Airport Traffic Report – January 2019 includes 241 airports in total representing more than 88% of European air passenger traffic.